Are teachers like priests? Is it time to start believing in ourselves? 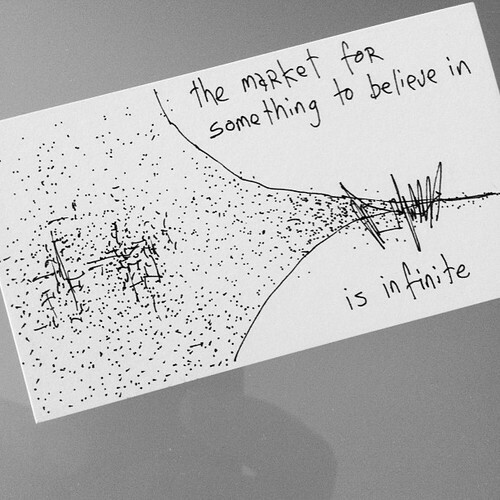 I keep track of GapingVoid and this blog post, combined with a few other events this week, have made me think. I pondered briefly on this subject back in 2011. Hugh’s main point in the post above is that we’re all looking for new stuff to believe in. Thinking about digital exercise books over at the Microsoft School’s Blog. Some excellent blog posts defending Gove and his policies by Tom Bennett, Andrew Old and Kevin Bartle that I tend to agree with. Having been dragged up in the Welsh Valleys as the son of a mining engineer, I’m a life long Labour party supporter. If you haven’t already, read them. In essence, we have to stop saying that Gove’s educational policy is pants because it originates from Gove. This post isn’t as good as any of these. Planning some reaction and getting students involved in hacking / mashing up the ‘new’ National Curriculum. Whenever it turns up. Hugh asks what ‘new certainties’ our work is bringing to the world. I often like teaching to the priesthood. I was an altar boy until my early teens and went to Catholic Schools. It seems to me that many teachers loose their ‘faith’ in teaching much like a priest may question their belief in God. There’s nothing wrong with a little naval gazing now and again, however it’s starting to get silly. The problem is of course that our figurehead changes often. Therefore, it’s important to develop an individual core set of principles or beliefs of what education is. The only ‘new certainty’ that I know of is that there is a disconnect between political rhetoric and intentions and what actually happens many times removed from Whitehall. I was told that my first Ofsted inspection would be horrendous. It wasn’t. I was told that BSF would revolutionise my teaching. It didn’t. I was told that the cancelation of BSF was a disaster. It wasn’t. Every time the Ofsted framework changes, I’m told that it will be a disaster. It hasn’t been. I was told that Controlled Assessment would be bad for learning and destroy GCSE Geography. It didn’t. When the curriculum changed last time, it was going to transform teaching. It didn’t. I’m often told that accountability and driving up standards will destroy creativity in the classroom. It hasn’t. I could go on. Maybe I haven’t been doing this for long enough. Maybe I’m just a muppet with no idea. But, what I believe is that by acting professionally and creating, adapting, subverting and changing our curriculum, teaching and learning will get better. Is the problem with education that we are all looking for a leader to tell us what good learning looks like? Are teachers too afraid to define it themselves and act upon it? Are we, as a profession, content with shouting and moaning or are we brave enough to do something about it? How many of the sceptics present an alternative reality? My point? I like listening to the background noise and trying to understand the arguments. However, my focus is on the staff and young people that I work with. I’ve said this before, but I see it as my job to twist whatever pops out of the political machine for good. How can CPD be made really effective? Super to have found your blog, I am thinking of becoming a teacher – a geography teacher – but have been warned that teachers just have to comply with the system and there is no scope for inspiring the kids and just going off-lesson every so often. I love your take on the teaching system, I feel a little better about persuing my passion now, thank you! But I do think it's tough sometimes without considerable self belief.